There was a time when mercury fillings were the best solution for restoring teeth with minor surface cavities. While offering many benefits, mercury or amalgam fillings also had shortcomings. 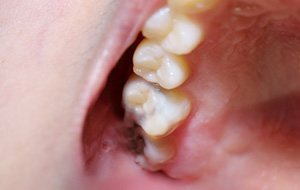 Thankfully, for patients requiring fillings today, the days of amalgam fillings are over. Advancements in metal-free, tooth-colored resins have made amalgam fillings a distant memory! There are many wonderful advantages to metal-free fillings. Lincoln, NE dentist Dr. Louis Olberding offers only metal-free alternatives to his patients. Why only offer metal-free fillings? Our team agrees that composite fillings are a better material compared to traditional amalgam fillings. At our practice, we don’t use materials we wouldn’t put in our own mouths. They’re aesthetically pleasing and look just like natural teeth! They form a stronger bond with the teeth, locking out harmful bacteria. They add greater strength and durability to a weak tooth. They won’t expand or contract like metal fillings, preventing unnecessary tooth damage. They are universally preferred by patients! Why visit Olberding Dental for the placement of non-metal fillings? Because tooth-colored fillings are technique-sensitive. To do a good job and have them last, we spend the time needed to get the job done right. Let us offer you the strength, functionality, and beauty that metal-free fillings provide. Call us today to schedule your next visit. Whether you’re looking for general, cosmetic, or restorative care, you can count on us to provide service that exceeds your expectations. We will help you get to the root of your oral health problems so you can enjoy better comfort and functionality.